Howard Stern criticised CBS CEO Les Moonves on his Monday Sirius XM radio show for at least 45 minutes. Stern called Moonves, who was accused by six women of sexual misconduct in a New Yorker report last month, a “shark” who tried to ruin his life. CBS Radio sued Stern in 2006 for allegedly violating his contract. 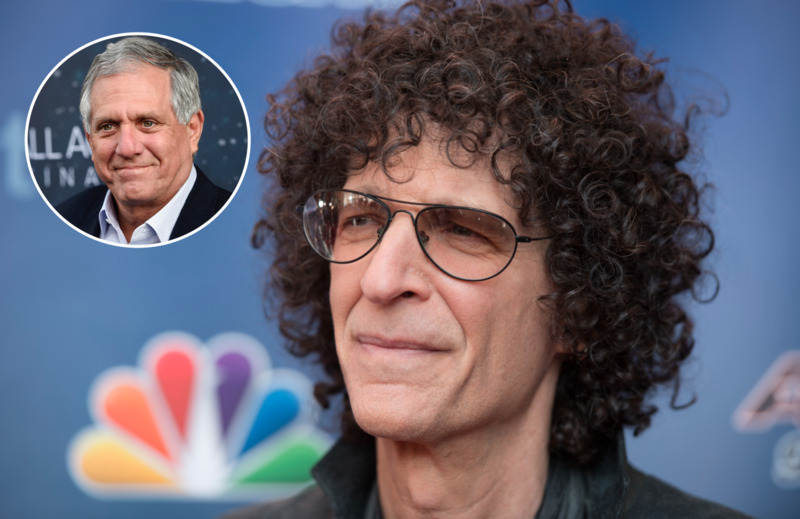 Howard Stern isn’t shocked that CBS CEO Les Moonves is facing heat. The outspoken shock jock went after Moonves on his Sirius XM radio show on Monday for at least 45 profanity-filled minutes, and called Moonves a “shark” who tried to ruin Stern’s life. Moonves was accused by six women of sexual misconduct in a New Yorker report last month, and the CBS board has since decided to hire outside legal counsel to conduct an investigation while Moonves remains at the company. Stern seemed pleased, but not surprised, that Moonves is under fire. “I know his true nature. He’s a shark,” Stern said on Monday’s show. In 2006, CBS Radio sued Stern for $US500 million for allegedly violating his contract. Stern was leaving CBS Radio for Sirius XM, and CBS Radio accused Stern of promoting the new job on his CBS Radio show. In a settlement, Sirius agreed to pay CBS Radio $US2 million for the rights to 20 years of Stern’s show. Stern also called out Moonves’ wife and co-host of CBS’ “The Talk,” Julie Chen, who publicly supported Moonves after the allegations became known. “Julie should have said, ‘Listen, I’m a woman. Listen, it’s obviously awkward. I’m married to Les Moonves, but I’m not going to come on the air and degrade what these women are saying,'” Stern said.